Polo shirt in heavy cotton quality with contrasting details and concealed buttoning. 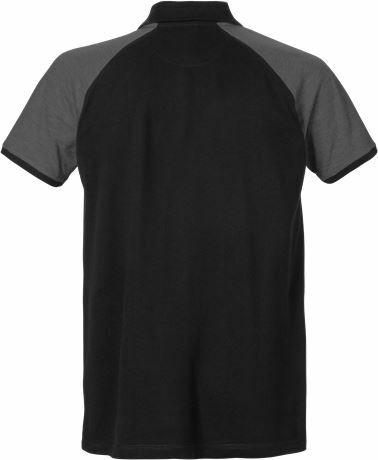 Part of a two-coloured range with polo shirts, t-shirts and sweatshirts. Contrast colour on shoulders and side panels / Flat knitted collar and cuffs / Front placket with concealed button fastening / Raglan sleeves / Covering stitches / Tone in tone stitches / OEKO-TEX® certified.